The Copper Country Humane Society (CCHS) is a non-profit (501c3) organization that is dedicated to the welfare and humane treatment of animals. CCHS provides the following services for Keweenaw, Baraga and Houghton Counties plus the Keweenaw Bay Indian Community (KBIC). 100% of the money needed for vet care, spay/neuter and medical needs for the 900 animals CCHS cares for annually is raised through monthly fundraising events and private donations. We thank you for all the support. CCHS was founded in 1972 to help animals in our community through providing foster homes for lost and abused animals. In 1992 the Keweenaw Animal Alliance (KAA) was opened as the first animal shelter in the area. In 1994 the CCHS and the KAA combined resources thus forming one organization to better serve the community and the animals. 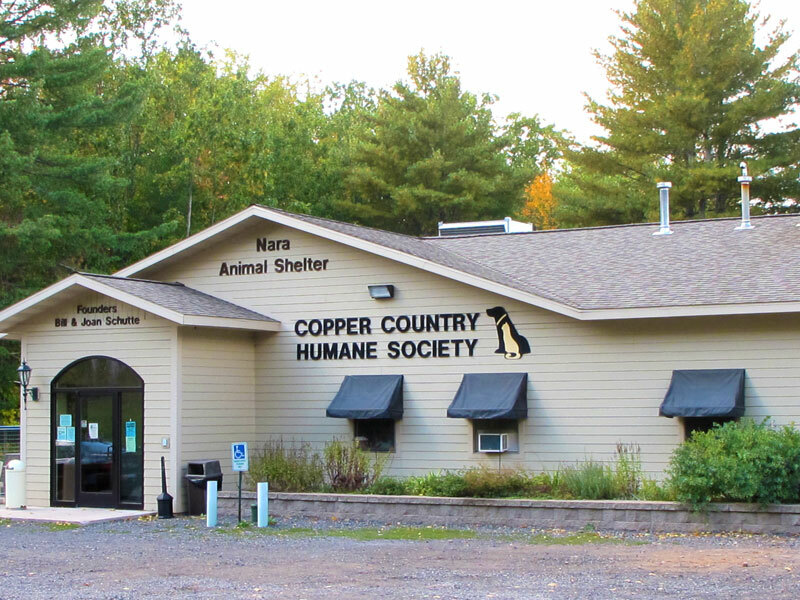 The organization and shelter is now known as the Copper Country Humane Society. In the beginning less than 100 animals were cared for at the shelter annually, but CCHS has quickly grown and now cares for approximately 900 cats and dogs annually. In 2005, CCHS opened the doors to a new state of the art animal shelter after 3 years of fundraising and planning the construction was completed. The new facility with bright colored walls, spacious kennels, play areas and lots of care allows CCHS to help more animals. It also encourages more people to adopt homeless animals and to volunteer at CCHS. Both the community and the animals are winners with this new animal shelter. Adoption Services – Our successful adoption program matches homeless animals with responsible people seeking pets. 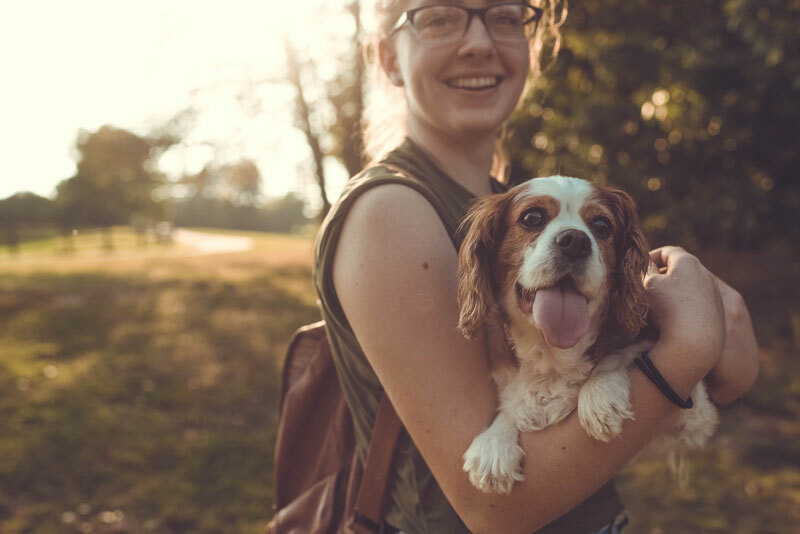 The nominal adoption fee helps defray some of the costs of the initial vaccination, de-worming and spaying/neutering of adopted dogs and cats. CCHS helps over 900 animals annually and ninety percent of our dogs and cats are adopted or claimed every year. There is NO time limit on our animals looking for homes, CCHS cares for them for as long as they need us. CCHS cares for about 80 animals each day at our shelter. Spay/Neuter Program – CCHS is dedicated to controlling the dog and cat population. No animal leaves the shelter without being sterilized (unless advised not to due to health reasons by a veterinarian). In addition, CCHS raises money through volunteer fundraising to assist low-income families cover the costs of sterilization procedures. It is the primary mission of CCHS to operate a “no time limits” shelter for domestic (non-feral) dogs and cats from Keweenaw, Houghton, and Baraga Counties and the Keweenaw Bay Indian Community in accordance with the guidelines set by the Michigan Department of Agriculture. The shelter receives animals from animal control and private citizens. CCHS works to return lost animals to their owners and to identify suitable homes for the remaining animals. These animals are not judged by “time of stay” to determine adoptability. Euthanasia will be considered per veterinarian recommendation based on health, temperament and quality of life and will only be performed by a veterinarian. While in our care, animals receive professional, quality care by concerned individuals dedicated to helping animals.